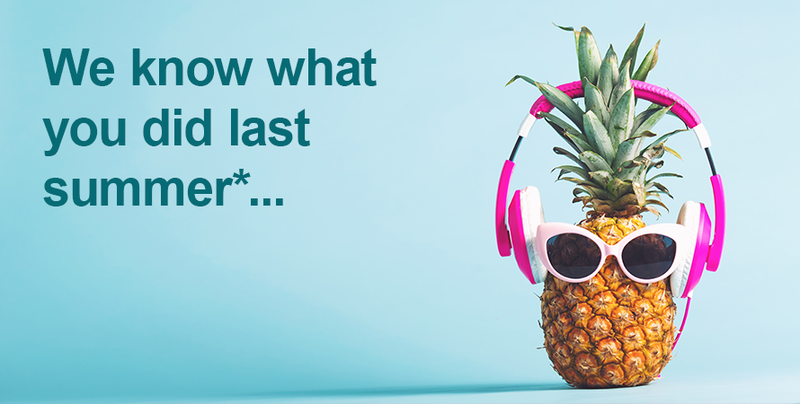 The research report, “we know what you did last summer…”, analysed social mentions of holidays, hols and holibobs across the UK in the last 12 months using social intelligence tool Brandwatch. Not only did the research reveal that holiday conversations are on the rise in Twitter and Instagram, but it uncovered some unique changes about how and when consumers interact with social when it comes to vacations. Katy Howell, CEO at immediate future says: “Previous data showed that the majority of holiday conversations happened in social whilst people were on holiday. It seems that this year, it’s all change. There are more conversations prior to buying a holiday. Of course, the beach selfie and sunset are still important, but the conversations have grown to include consideration, evaluation and purchase phases of the buying journey”. She continues: “This shift in conversations presents brands with two clear opportunities. Insight that provides the intelligence to deliver better content, and the chance to influence purchase intent”. Packed with insight and advice, the report reveals brands should no longer use one post across all social channels. It’s clear that each channel has a differing emphasis, language and tone. Instagram is a whole lot more chilled and laid back than Twitter where consumers come to talk, shout excitement, happiness and stress. When it comes to holidays, consumers like to talk about who they go with. And when they do, 66% of us mention family and 25% talk about friends (only 3% shout about holidays with best friends). The data shows that we don’t just share our holiday intentions and activity with friends and family, we actively include them in the social conversation. The report is designed to give a snapshot of trends and insights for travel brands to consider for next year’s social activity. It will offer a window into the types of content that will drive interest, and the interests that will drive purchase. It even delves into the differing holiday types: revealing that cycling holiday mentions also talk more about swimming (34%), caravaners talk mostly about photos (49%), and villa conversations nearly always mention tanning (81%). Katy says: “To succeed, travel brands need stand-out. But that’s more than just creative executions. Personalised content is essential. Brands need to understand, in detail, the way in which customers buy, and the impact that social has at every stage of the buying journey”. With 14 years’ doing the social media marketing thing, we know our LinkedIn from our Pinterest! We’re the peeps that define social marketing! We’re loved by the press (yes really), appear on TV and radio news as ‘experts’ (BBC, Reuters etc) and speak at a shed load of events. Why because we work with big brands, know our stuff and love to share knowledge with everyone. Just look @IFTweeter! This press release was distributed by ResponseSource Press Release Wire on behalf of Immediate Future in the following categories: Leisure & Hobbies, Travel, Media & Marketing, for more information visit https://pressreleasewire.responsesource.com/about.